- Fitted with well balanced universal motor. - Digital LCD display shows set time/run time/RPM. - Preset speed controller through microproccessor from 2000 to 13000 RPM. 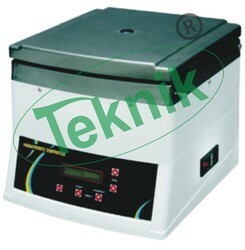 TGM12 hematocrit centrifue is widely used for Disease control, popular in Veterinary eld. - Melt housing, 3048 stainless steel centrifugal chamber, sate and reliable. 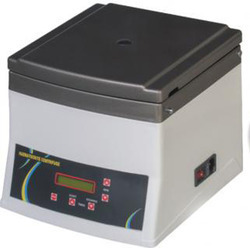 Backed by rich industry experience and market understanding, we are involved in offering a wide array of Hematocrit Centrifuge Machine to our valued patrons. We are assisted by a crew of experienced personnel who are enormously indulged in bringing forth a broad gamut of Hematocrit Centrifuge. M/S. Labline Equipments Pvt. Ltd.